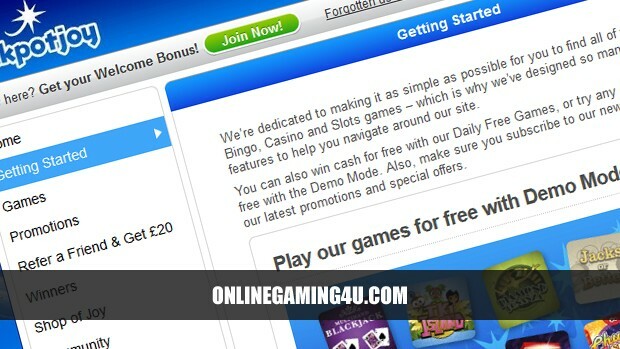 5 Reasons to play casino & bingo with Jackpotjoy, other than the standard welcome bonus. 1. Refer a friend and get £20! 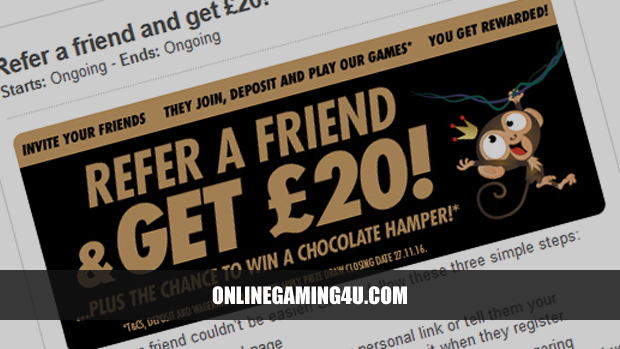 Refer a friend via the on-site email sender and if your friend signs up and plays you will get £20 and an entry in to exclusive prize draws such as gift hampers and giveaways. Offer applies to every friend you refer. Got a group of 10 friends who love bingo? 10 x £20 could be yours. 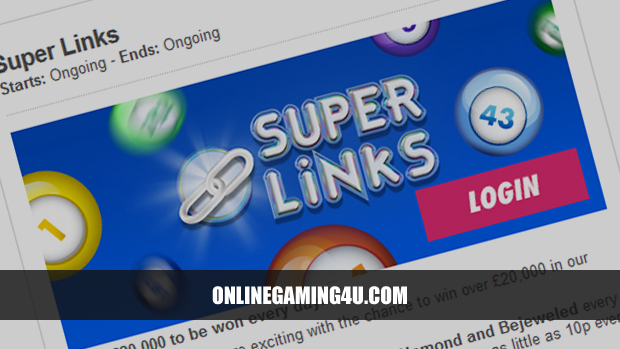 Play bingo in selected Jackpotjoy bingo rooms and be in with a chance of winning over £20k every day with “Super Links”. 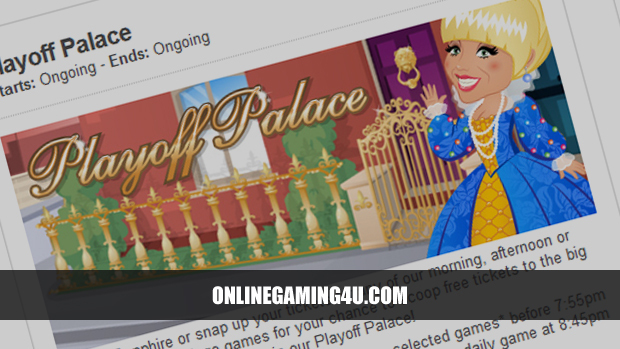 Play free bingo daily and weekly with Jackpotjoy’s exclusive Playoff Palace. Win 1 line, 2 lines or full house on selected games to be in with a chance of free bingo tickets. 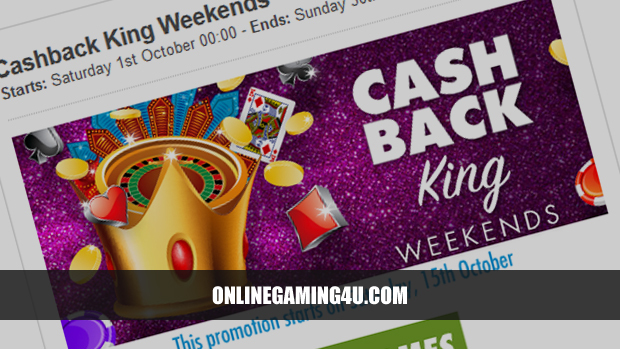 Play casino games at Jackpotjoy and earn 10% casino cashback every weekend! It’s not just newbies who get all the goodies. 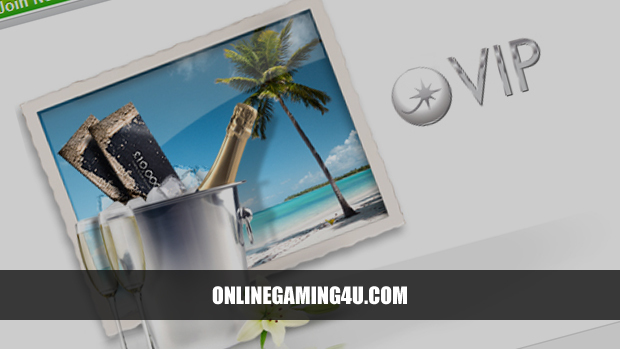 Play regularly with Jackpotjoy and you will be treated like a true VIP. 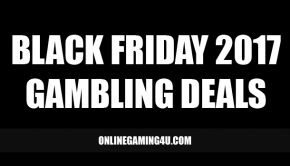 Along with all the current cool promos, VIP customers get access to regular cash offers with no wagering, VIP prize draws and much more. There is also ongoing chance to be part of group events that have previously included Cirque Du Soleil, VIP-only luxury holidays, Premier League football matches and much more. T&Cs apply. See website for details. 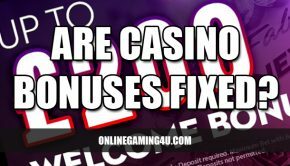 On top of this, all new players will get 250% extra on their first deposit. 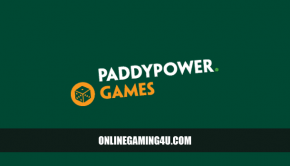 Deposit £10, get £25 free, deposit £100 = get £250 free!